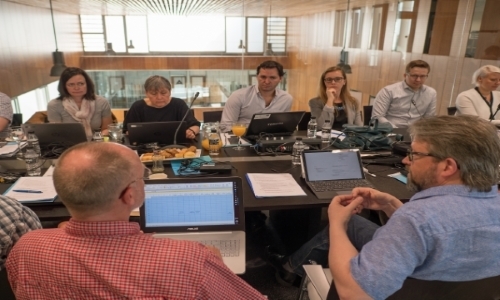 From 8th to 10th of May, IDENER hosted the COCOP M8 meeting where project partners interchanged their visions and updated the rest of the participants on the work being performed. The meeting started with a review of the status of the different WPs where the main aspect related to them where discussed. In addition, Modelling and optimisation aspects, Social Innovation, KPI, management issues and dissemination subjects were deeply analysed. The second day of the meeting was dedicated to different workshops that were held in parallel. All the partners involved in the project assisted to it, with more than 30 participants. The discussions had in the meeting has allowed to improve the overall knowledge of the current project status and more importantly, to define a clear path to the next months developments.